Social media marketing can be an effective marketing tool when used correctly over time. Below are a few tricks you can try. Hope it works for you. Go to https://www.facebook.com/pages/create/ to begin creating your page. 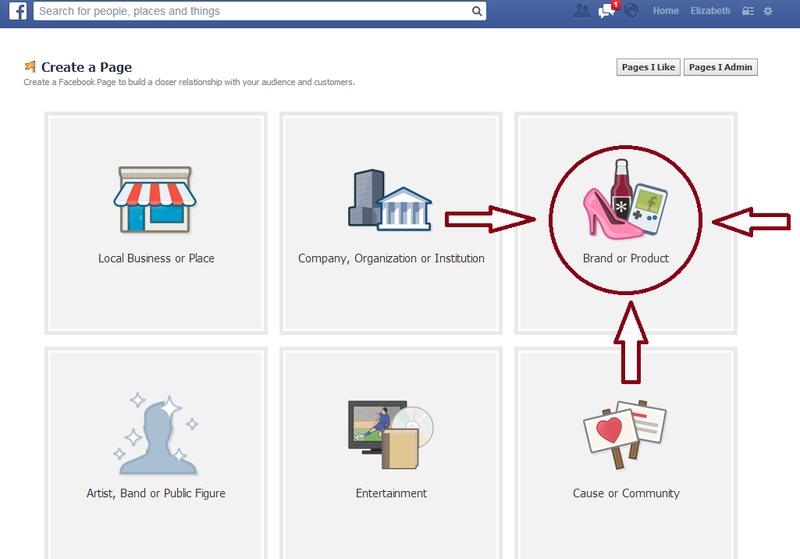 Choose the “Brand or Product” box, then choose your product type, write in your product name and agree to the Facebook Pages Terms. Fill out your About, Profile Photo and Favorites Sections. Make sure to choose a search phrase (keyword) for your page relating to your product niche. Refer to this thread for ideas and ways on how to choose your keyword phrases. In the “add website” section, remember to add a link to your corresponding Zazzle store and include your referral ID. Once you’ve created your Facebook Page, you can invite your friends and family to come like your page through Facebook, email, and by sharing your page on your own personal timeline. All of these options are available on your Facebook Page under the “Insights” and “Invite Friends” Sections. (You can also go to Build and Audience Tab ->Invite Friends or Share Page.) Make sure you are using Facebook as yourself and not as the page, and tell your family and friends to share your posts and page. Find pages and interests that correlate to your product by using the Facebook search function (the search bar on top of the page.) For example, if you sell holiday cards, you can go like the Christmas Interest. If you sell wedding invitations, you can like the Wedding Invitations Ideas page. It’s also good to like promotional pages like the Promote Your Page Here page. 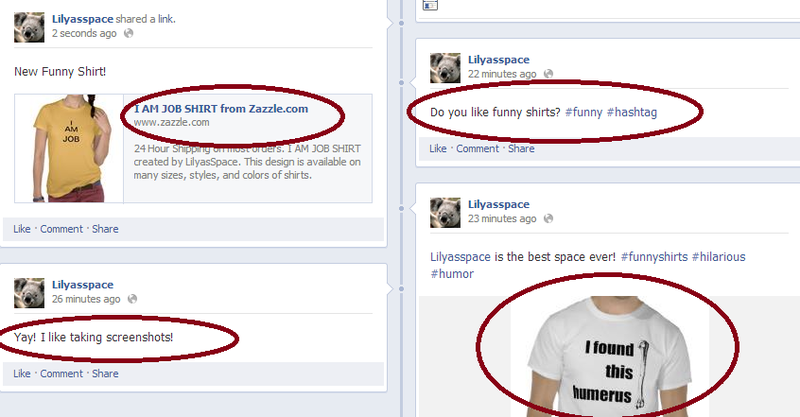 Once you like these pages, start interacting with them by introducing yourself with a comment, post or link. It’s also beneficial to tag these pages in your own posts by using the “@” symbol because that gives you more visibility on these pages. Post on your Facebook 2-4 times a day with different media. Don’t just post your products as links, but try to post your products as pictures as well. You can do this clicking “Add Photo/Video,” then uploading a picture file, and only after the picture has uploaded posting the link to your product in the text section. Don’t just share your own updates, share any relevant news or any complementary items you stumble upon as well once in a while. Use hashtags to your advantage. When you post a keyword with a hashtag, it makes your product more easily searchable e.g. #weddinginvitations. Now anyone searching for #weddinginvitations will see your post in their search. You can also use hashtags to find people that have recently been talking about this topic and reach out to them. Don’t forget to check your Facebook Insights to see which posts and at what times your posts have been performing best. Have a Pinterest, Twitter, Tumblr, or another Social Media account? Link them to your Facebook account by placing your Facebook Page Link in the “about” section or “description” of your other account. Make it easy to find and connect with you. Some Social Media accounts make this much easier. For example, if you have a Tumblr page, you can edit your settings so all of your posts on Tumblr also get shared out to your Facebook and Twitter accounts. It’s good to place Facebook “Like” and “Like Us on Facebook” widgets on any websites you have. Previous PostPrevious Vimeo Vs. YouTube: What’s The differrence?